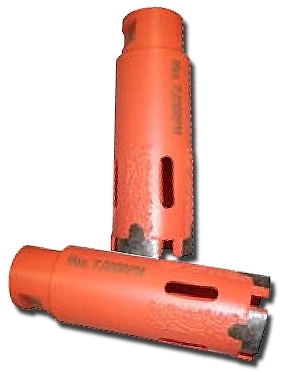 Fast FuryTM Dry Core Bits 1-1/4" up to 1-1/2"
Fast FuryTM Dry Core Bit. One of the fastest cutting, longest life, turbo segmented bits, the Fast Fury Core Bit is perfect for cutting granite or engineered stone. Recommended RPMs of 10,000; overall length is 4".